This weeks Geek of the Week promises to be a surprise, but not because this person isnt worthy. The reason why is because you likely have not heard of this person and the company. Just to make one thing clear: we do favor the underdog as we have said in the past. Nevertheless, this doesnt mean we actively seek out underdogs. If someone has a product, service or concept that will better the cloud area on a whole, this person/company will earn brownie points. However, we frequently see game changing products/services come from companies like AWS, Microsoft and IBM not from smaller players. We receive (literally) over a dozen nominee applicants per week. So, as always, this week was very difficult in choosing a winner. In fact, when we initially received this weeks winner as a nominee submission, we brushed it aside because there are dozens of companies offering the same serviceos so we thought. 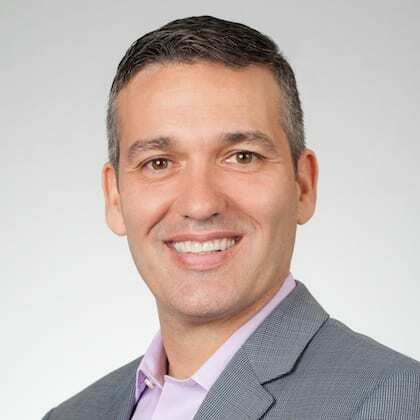 Before we get to what they do, allow us to introduce this weeks Geek of the Week: Tony DiBenedetto, Chairman and CEO of Tribridge and Concerto Cloud Services. If you have not heard of Concerto Cloud Services, you should keep an eye on them. According to their website, Concerto Cloud Services combines deep application and technical expertise with innovative private and hybrid cloud services to help you deliver enterprise applications to your organization quickly and cost-effectively. Great. There are hundreds of companies like this, right? Well technically yes. But the execution, the customer commitment, the compliance, the reliability and speed, the customization, the technical skills, the business sense, the overall standards (we can go on and on) everything about Concerto Cloud Services beats out their competition. There is a reason why they have an insane 99% customer retention rate. If that doesnt impress, Concerto has a 100% growth rate each year. So no, this company is not like their competitors at all. And Mr. DiBenedetto is behind the success of this fast growing company. As for Tony himself: where to begin? He is a lifetime entrepreneur. He was a partner at Arthur Anderson. He also founded Tribridge a technology services firm specializing in business applications and cloud solutions. He has earned numerous awards including the Ernst & Young Florida Entrepreneur Of The Year Award in Technology. He has been inducted into the Florida State University College of Business Hall of Fame (where he earned his degree). Honestly? In all of the geek of the weeks we have published, Tony is arguably one of the most decorated winners in our history of this award.